There was nothing necessarily wrong with the soundtrack to 2002’s Tobey Maguire-starring Spider-Man. But surveying it 16 years later, there was something awfully homogenous about its lineup: Sum 41, Nickelback’s Chad Kroeger, Theory of a Deadman, Aerosmith, Pete Yorn. So it makes sense that the animated Spider-Man: Into the Spider-Verse—which features multiple cross-racial, cross-gender, cross-generational, cross-dimensional characters with Spidey powers—has a soundtrack that really upends the franchise’s own long-established aesthetic and cultural awareness. While these songs were written for the movie, they often don’t sound like movie songs in the conventional sense. LA MC DUCKWRTH’s “Start a Riot” is a jump-up-on-the-table party-rap rager. Lil Wayne and Juice WRLD each offer introspective tracks (the former featuring a surprise appearance from the late XXXTENTACION) that use literal darkness as a metaphor for emotional pain. And Nicki Minaj turns up the patois over Caribbean vibes on “Familia”—a rare song that directly references the film—alongside verses from Puerto Rican trap artist Anuel AA and Zimbabwean singer Bantu. 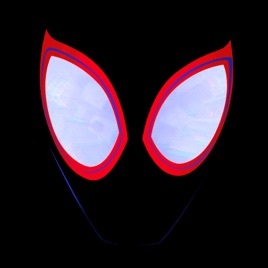 But where soundtrack tunes so often indulge in the audio-production equivalent of pyrotechnics, some of Spider-Verse’s best songs triumph for the exact opposite reason—Vince Staples’ closer, “Home,” and Swae Lee and Post Malone’s “Sunflower” ride the lowest of lo-fi beats to really let their lyrics shine. This Compilation ℗ 2018 Republic Records, a division of UMG Recordings, Inc.